Buying a television is an exciting event. Do you scope out the televisions at the big box stores, find the one you like and wait for it to go on sale? Many of our customers ask, “Does my new television need a separate, dedicated circuit from the electrical panel?” Answer: It depends. While larger LCD and plasma televisions can draw 3-7 amps and may need a dedicated circuit, most of the larger LED televisions sold today draw less than two amps, meaning there should be plenty of room on your living room circuit in most cases. There is not an electrical code requirement for a separate circuit for flat screen televisions, but a general rule for all new appliances is to read the manufacturer’s instructions and warranty because it is possible that they could require a dedicated circuit (although this uncommon for televisions). Some of our customers have requested a separate, dedicated circuit for their entertainment area even though they have enough power in the general living area circuit. This arrangement helps reduce the effect of surges from items like vacuum cleaners and treadmills. 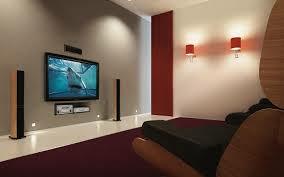 Having extra power at the entertainment area allows for extra components like surround sound and video gaming consoles. 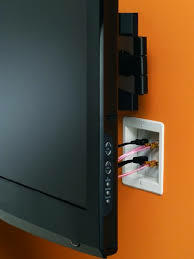 • If you are buying expensive appliances, consider two stage surge protection: Stage one – whole house surge protection. Stage two – localized surge strips. • If you are mounting your television to the wall, consider an Arlington recessed box – our electricians carry them on their vans and our customers love them! • Consider having an Edison Electric electrician run the power and cabling for a safe and neat installation for your entertainment center!